The Moore/Sloan Data Science Environments (MSDSE) program is an ongoing effort to enhance data-driven discovery by supporting cross-disciplinary academic data scientists at research institutions across the nation. Halfway through the program, researchers from the University of Washington (UW), New York University (NYU), and University of California, Berkeley (UCB) came together to present their latest research and discuss the potential future of data science at a three-day summit. 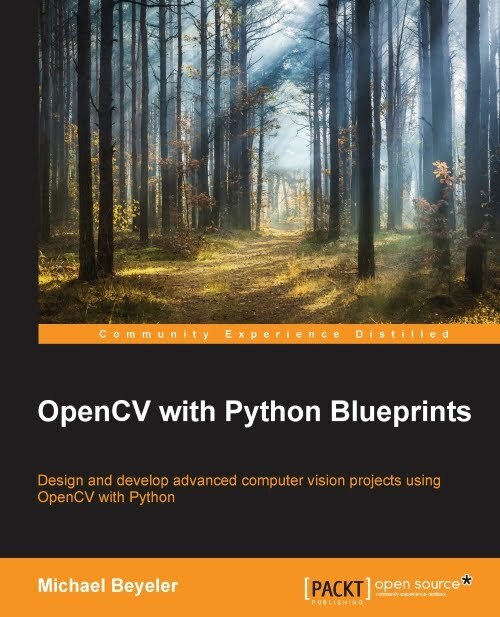 A year ago today, Packt Publishing Ltd. released OpenCV with Python Blueprints, my first technical book on computer vision and machine learning using the OpenCV library. To celebrate this 1-year anniversary, I'm giving away 3 print copies of the book via Amazon Giveaways! Read on to find out how you can participate. In the latest issue of this monthly digest series, you can learn how computer vision and AI is expediting brain tumor detection, how deep learning is used to teach autonomous vehicles how to drive, what Amazon is up to in the Cambridgeshire, and much more. In the latest issue of this monthly digest series you can find out what our eyes and coloring books have in common, why you shouldn't Pokémon Go and drive, where the brain stores social memories, and much more.